BEIRUT/GENEVA (Reuters) – Aid workers who reached a besieged Syrian town spoke of “heartbreaking” conditions being endured by emaciated and starving residents, with hundreds in need of specialised medical help. An aid convoy on Monday brought the first food and medical relief for months to the western town of Madaya, where 40,000 people are trapped by encircling government forces and local doctors say some residents have starved to death. The World Health Organization said it had asked the Syrian government to allow it to send mobile clinics and medical teams to Madaya to assess the extent of malnutrition and evacuate the worst cases. A local doctor said 300 to 400 people needed special medical care, according to Elizabeth Hoff, the WHO representative in Damascus who went into Madaya with the convoy. Aid convoys also delivered supplies to Foua and Kafraya, two villages in Idlib province encircled by rebels fighting the Syrian government. Western diplomats have condemned the use of food as a weapon of war, with the U.S. ambassador to the United Nations, Samantha Power, accusing the government of Syrian President Bashar al-Assad of “grotesque starve-or-surrender tactics”. Britain’s U.N. ambassador, Matthew Rycroft, said “wilfully impeding relief supply and access can constitute a violation of international humanitarian law”. Legal experts said that could be construed as either a war crime or a crime against humanity, or both. An independent U.N. commission of inquiry on Syria has long denounced use of starvation by both sides as a weapon of war, and has a list of suspected war criminals and units from all sides which is kept in a U.N. safe in Geneva. However, there appears little immediate prospect of such a case being brought before the international war crimes tribunal in The Hague, since Syria is not a member and any referral to the court by the U.N. Security Council would have to overcome Russian reluctance. The difficulties in getting aid into Madaya and other besieged places could also set back efforts to hold new peace talks on the five-year-old war in Syria, scheduled to take place under U.N. auspices in Geneva on Jan. 25. A U.N. road map for the talks calls on the parties to allow aid agencies unhindered access throughout Syria, particularly in besieged and hard-to-reach areas. An opposition grouping has told the United Nations that this must happen before the talks can begin, lending weight to suggestions that the humanitarian situation could make Jan. 25 a hard target to hit. Negotiations to get into Madaya and the other two villages were lengthy and difficult. There are presently about 15 siege locations in Syria, where 450,000 people are trapped, the United Nations says. The main opposition coordinator, Riad Hijab, said the United States had backtracked over the departure of President Bashar al-Assad as part of any settlement and this meant the opposition would face hard choices on whether to attend the talks. The WHO intends to return to Madaya on Thursday as part of a U.N. convoy with more medical and food supplies, Hoff said. ICRC spokeswoman Dibeh Fakhr also said its next distribution is planned for Thursday. The aid consists of blankets and medicine as well as food. The Syrian Observatory for Human Rights, a group that monitors the war, said the people of Madaya had dismissed the head of the town’s military council because he tried to put the newly delivered aid in warehouses. “The people refused to let it be put in warehouses and asked that it be distributed directly,” the Observatory said. 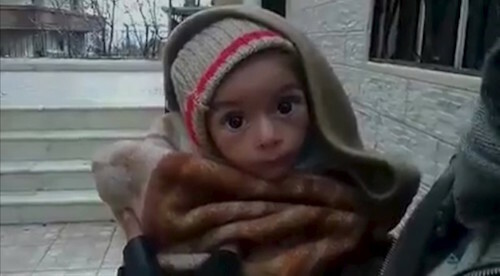 The U.N. refugee agency said local people in Madaya were involved unloading and distributing the food they received. WHO’s Hoff said there had been no sign of fighters in Madaya except at checkpoints. The Observatory said at least 300 people left the town and were taken by government forces to the Damascus region. 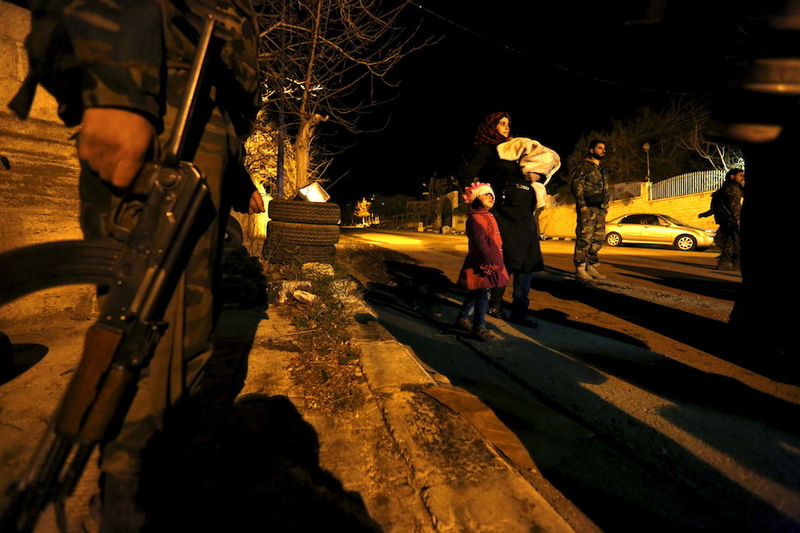 The U.N. said its vehicles were not used to take anyone out of Madaya. Hoff said medical staff had told her that mothers had no milk for breast-feeding and many malnourished people were too weak to leave their homes. “I sent an immediate request to authorities for more supplies to be brought in. We are asking for mobile clinics and medical teams to be dispatched,” she said. Doctors said patients preferred to spend what little money they had on food and not health care, Hoff said. Rice was on sale, but at $200 or $300 a kilo. At a field hospital, Hoff said, doctors “had to give a drip to a patient outdoors because there was no room in the clinic”. Hoff said she had spoken with a severely malnourished man who could hardly talk, was totally dehydrated and had turned yellow in colour. Reader-Supported Facts and Opinions survives on an honour system. Try one story at no charge; please chip in at least $.27 apiece for more. If you value no-spam, no-ads, non-partisan, evidence-based, independent journalism, help us continue. Journalism is not “free.” Details.